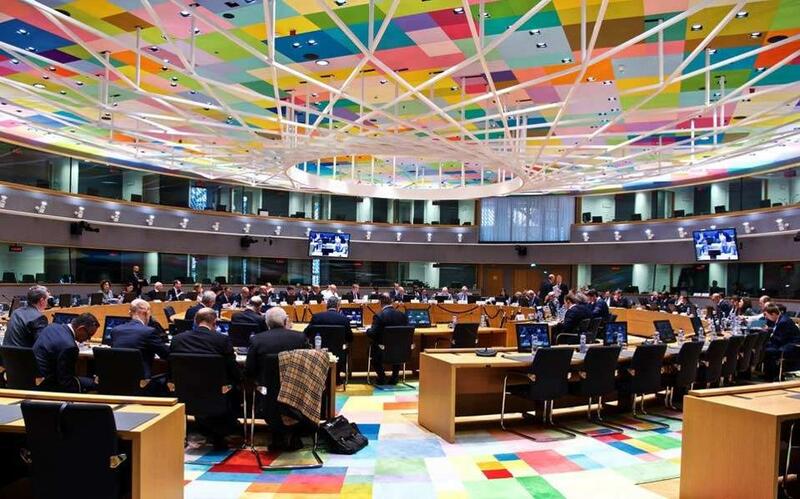 Local media reports suggested on Monday that a Eurogroup meeting on 5 April could green-light the disbursement of a 970-million-euro tranche of post-bailout funds to Athens. Chances of Greece receiving the tranche have reportedly increased after the government introduced a new legal framework for the protection of primary residences from foreclosures. This Friday’s Eurogroup meeting will decide to release the tranche, generated from profits on Greek bonds held by the ECB and Eurozone central banks. In any case, negotiations between the Tsipras administration and its international creditors regarding the legislation on the new protection scheme will continue throughout the week as creditors reportedly still maintain concerns about the scheme that need to be addressed. An expected visit of international creditors’ representatives to Athens will be postponed, possibly to the 6 May. As a result, an evaluation report on the Greek economy may be submitted after the European elections. Meanwhile, the Central Bank of Greece issued a warning regarding future growth on Monday. Central Bank Governor Yannis Stournaras stated that Greece’s economic growth could be hindered by maintaining high primary surpluses for an extended period, together with high taxation. Moreover, Stournaras said fiscal relaxation should be “avoided” ahead of this year’s general elections. In the Central Bank’s annual report, the economy was projected to grow 1.9% this year. The estimate falls short of the government forecast of 2.5% growth this year.